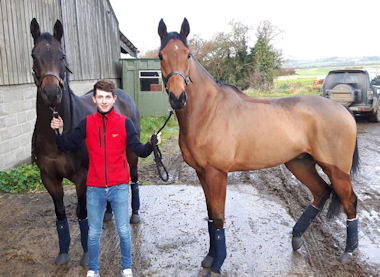 Apprentice jockey Josh Quinn and stable hand Jas Shaw have joined the team. 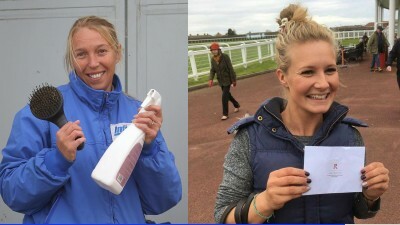 Katie and Jo have picked up more best turned outs this week, with Space War and Holiday Magic. 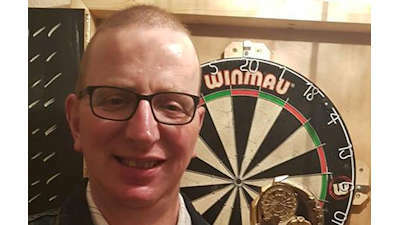 Congratulations to head lad Mark Cobb, part of the winning team in the local six a side darts league. 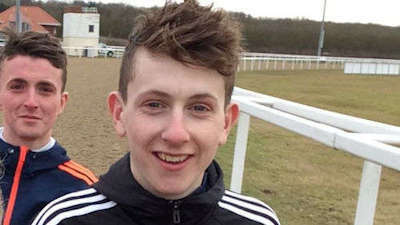 Jockey finishes fourth on Qaffaal on his comeback. 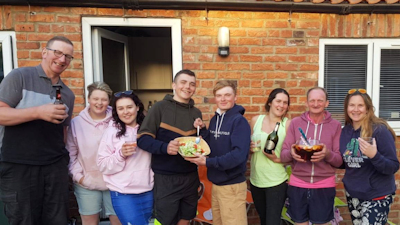 Best wishes to work rider Jane Bedford on the birth of her daughter. 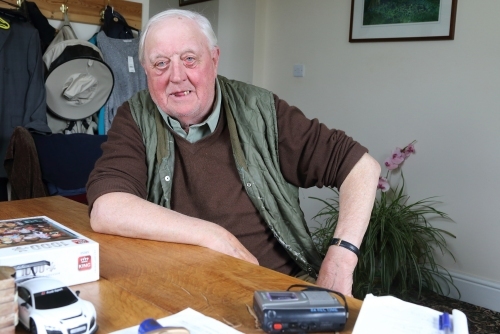 I am auctioning off my green jacket in aid of the Yorkshire Air Ambulance. 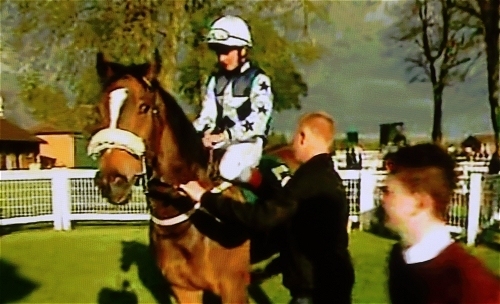 Miss Sheridan makes it two out of two in 2017 at Pontefract. 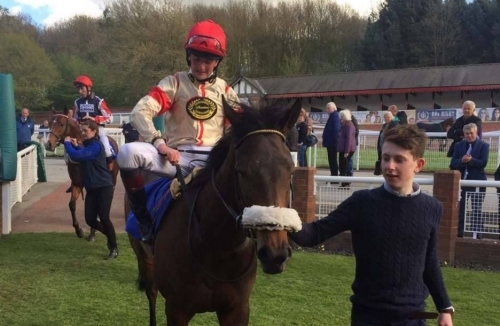 Black Grass becomes the sixth horse to score this week. 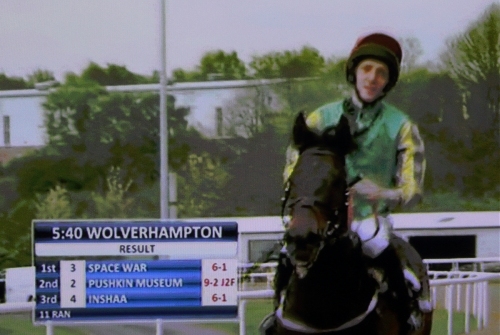 Ryan Timby rides his first winner aboard Space War at Wolverhampton. 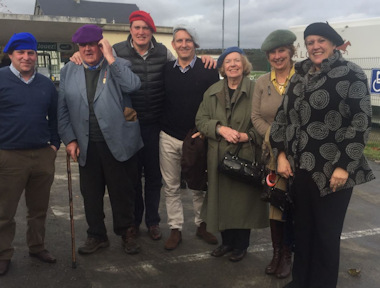 Thank you to the generosity of our owners for the enjoyable staff Christmas Party, belatedly held in January! Hope you enjoy the photos! 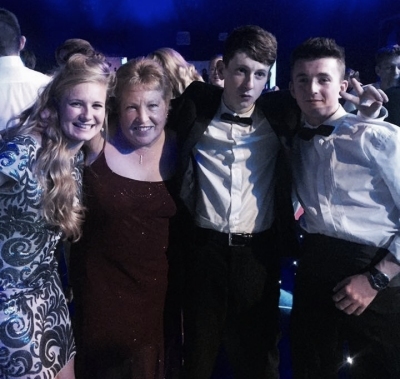 Here's Team Easterby at the Lesters! Its been cold up here in Ryedale! But the team have braved the freeze and the horses training continues unabated! A staff night out to Yorkshire's Winter Wonderland on 30th November with Katie, Nathan, Ben, Steph, Harrison, Joanna and Caroline! 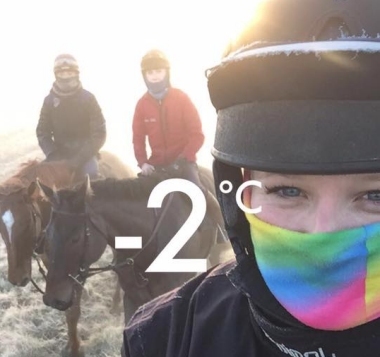 It was minus 2 this morning on the gallops but our wonderful team were hard at work defying the freeze! Not much stops us up here in Yorkshire. Team Easterby have arrived at Fontainebleau to see First Wheat and Perfect Pasture. Horses (and staff and owners) have travelled well. 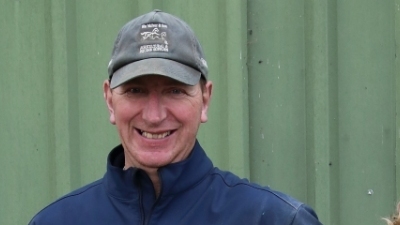 Team Easterby are making a 535 mile trip to the Hippodrome de la Solle, Fontainebleau, France this afternoon.